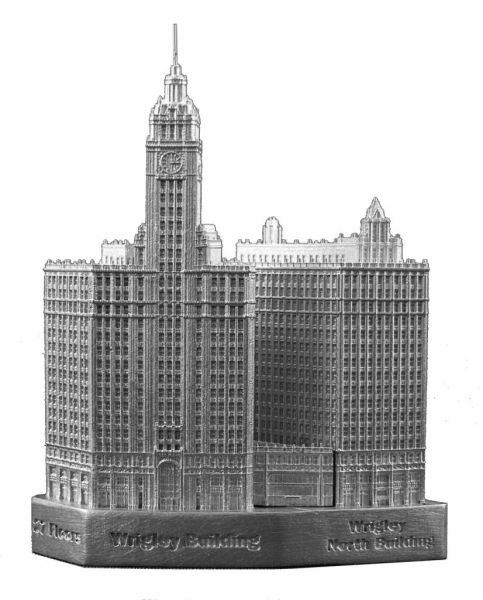 The Wrigley Building is located at 400 N. Michigan Ave, Chicago. The city's tallest when completed in 1922. The 18 story North building was added in 1924. This building was designed by Graham, Anderson, Probst & White and stands 438 feet tall with 27 floors. This replica building stands 95mm tall, it is finished in new pewter. Excellent work of art. Exquisite detail.